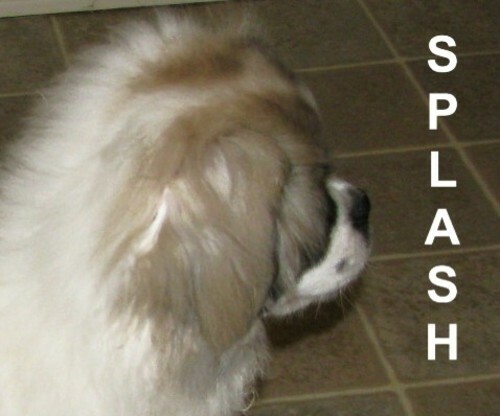 WHATTA WISLER'S SPLASH EM UP "S P L A S H"
Our beautiful parti boy WHATTA WISLER'S SPLASH EM UP "S P L A S H" . . . .
Our gorgeous "SPLASH" is sired by our spectacular European Import AKC CH. Caruso Gracia-IN "Yuri" whose bloodlines go back to the famous "Leopoldo". 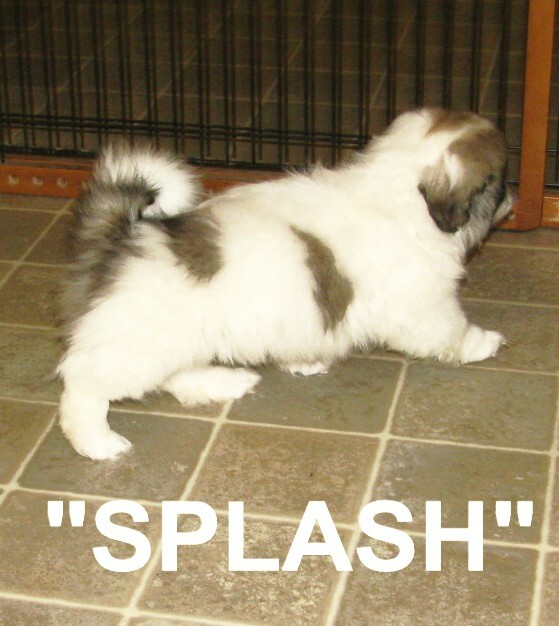 The dam of "SPLASH" is our beautiful parti girl Whatta Wisler's Parti 'N Texas "Pukie". WATCH FOR THIS BOY AT THE SHOWS WHEN HE IS MATURE AND READY TO GO ! ! ! "Tons" of coat, beautiful movement, plenty of "expression", excellent topline and tail carriage and correct conformation with outgoing temperament. NICE BOY ! ! ! ! SAME FANTASTIC "Go Show" ATTITUDE AS HIS SIRE "YURI"
WATCH FOR THIS BOY ! ! !